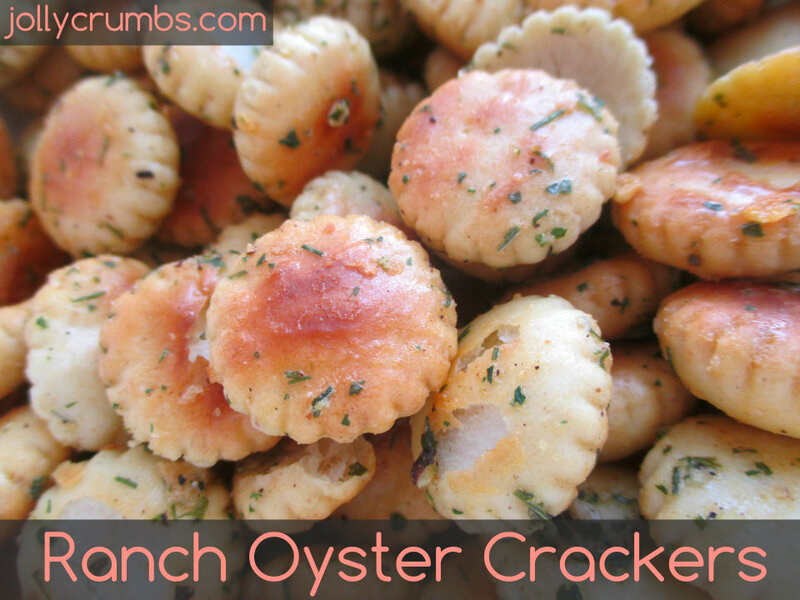 These ranch oyster crackers couldn’t be easier to make. 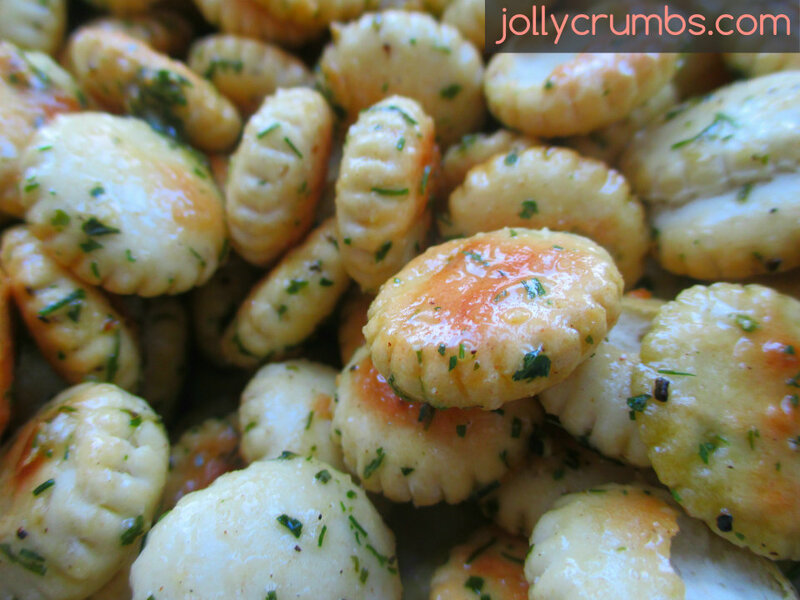 They are a simple snack that is crunchy, salty, flavorful, and a perfect pick-me-up. If you are a fan of flavored crackers (Goldfish, Wheat Thins, etc. ), you will like these. I was really surprised with how delicious these are. It’s actually hard to stop eating them. But that’s OK because they are pretty low in calories. So, if you want a crunchy, ranch snack, I recommend this one most definitely. Just be prepared to really love these crackers. These crackers don’t require hardly any prep or work to make, which is always a win in my book. First, mix together ranch dressing mix, melted margarine, dried dill, garlic powder, and salt and pepper in a large bowl. Mix well. I added a little lemon pepper to my mix, but this is completely optional. You could also make these spicy by adding red pepper flakes to the mix. Stir in oyster crackers to the wet mix and stir to coat. All the crackers should be coated well in the seasoning. Pour crackers onto a large cookie sheet. Bake 15 minutes, stirring every 5 minutes or so. Cool and store in a covered container or sealable bag. These little crackers are highly addictive. The spices on these crackers are delicious. They bake up to be a crunchy, spice filled cracker. I love the ranch flavor of these crackers. One huge perk to making these crackers is that you can customize them with flavors you like. If you want them spicy, you can add in red pepper flakes to give them a kick. I added in some lemon pepper for a little tang, and it was delicious. These have a punch of flavor in a seemingly boring cracker. So if you love flavored crackers, give these a try. I bet you can’t eat just one! In a large mixing bowl, combine ranch dressing mix, melted margarine, dried dill, garlic powder, and salt and pepper. Mix well. Stir in oyster crackers mix to coat. Pour crackers onto a large cookie sheet. Bake 15 minutes, stirring every 5 minutes or so. Cool and add to a covered container. I like the idea of the lemon pepper in this snack. These would be great in place of chips! It’s really tasty! It adds a nice lightness and zing to the crackers. Samuel and I definitely munched on these instead of chips.